This trophy is sure to make the girls smile! 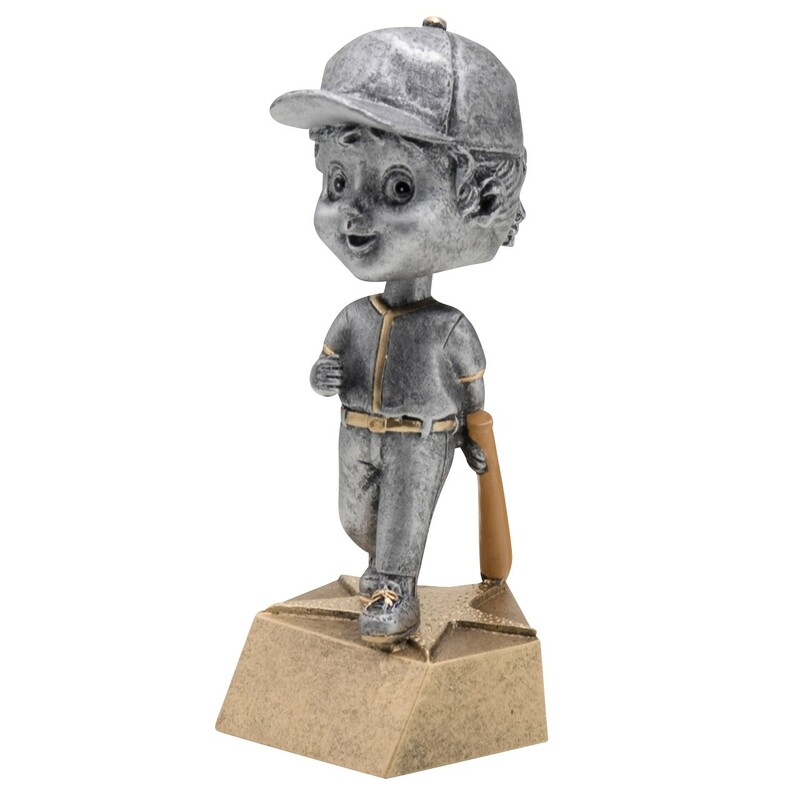 This Youth Girl Softball Bobblehead Award features a youth female player in a batting pose atop a golden base crafted in the shape of a star. Made of resin, this trophy resembles cast pewter with bronze highlights. A great trophy the entire team will enjoy, award this fun trophy on your next game!